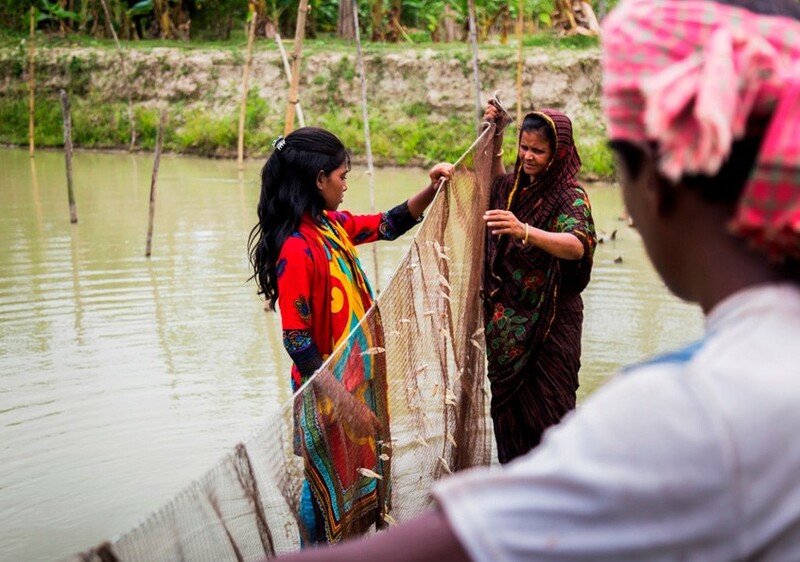 Farmers catch mola from their homestead pond, Amtoli, Barguna, Bangladesh. 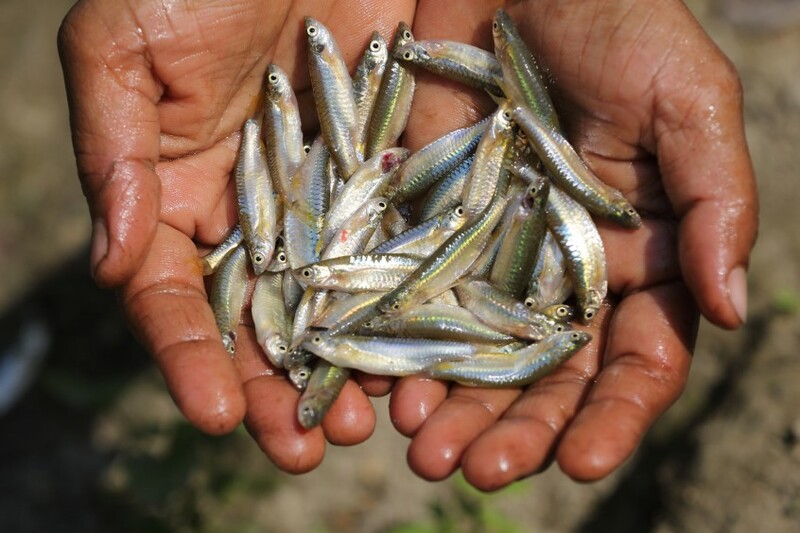 Evidence that small indigenous fish species can affect significant nutritional outcomes is growing. 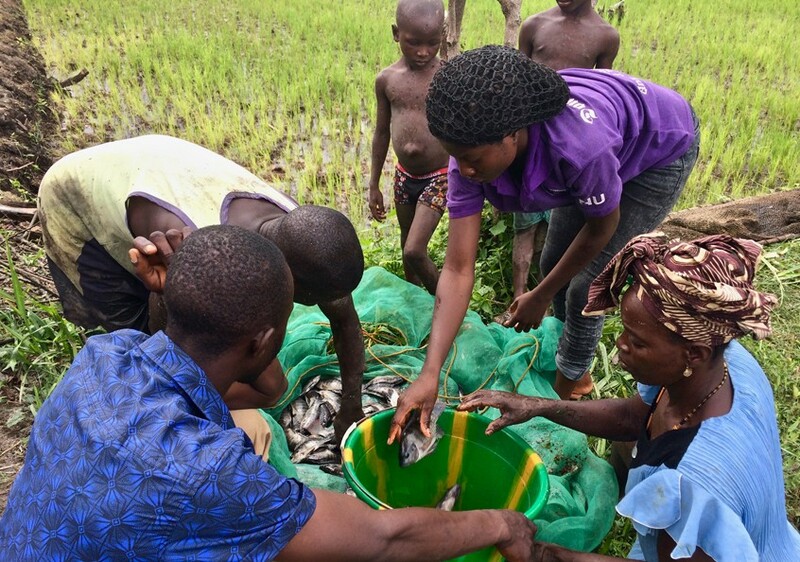 A new paper by WorldFish highlights how mola, reared alongside other fish in a polyculture system, represents the most nutritional value of the harvest.